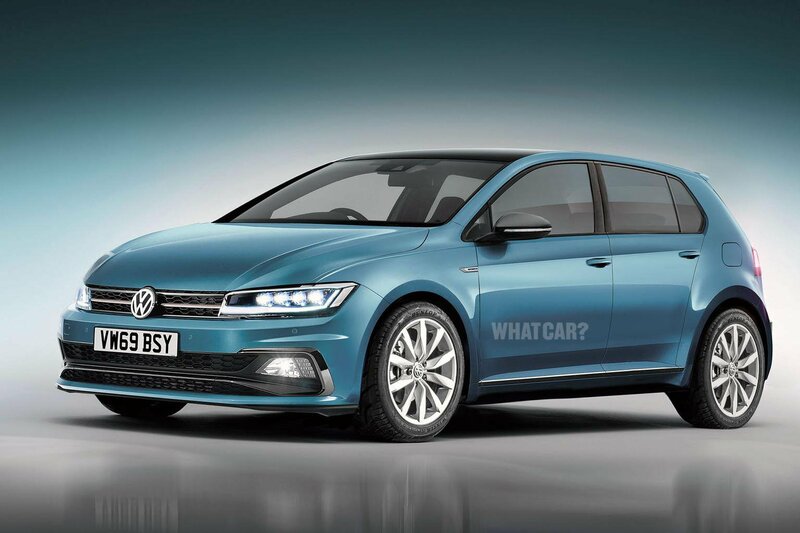 2019 Volkswagen Golf – what we know so far | What Car? 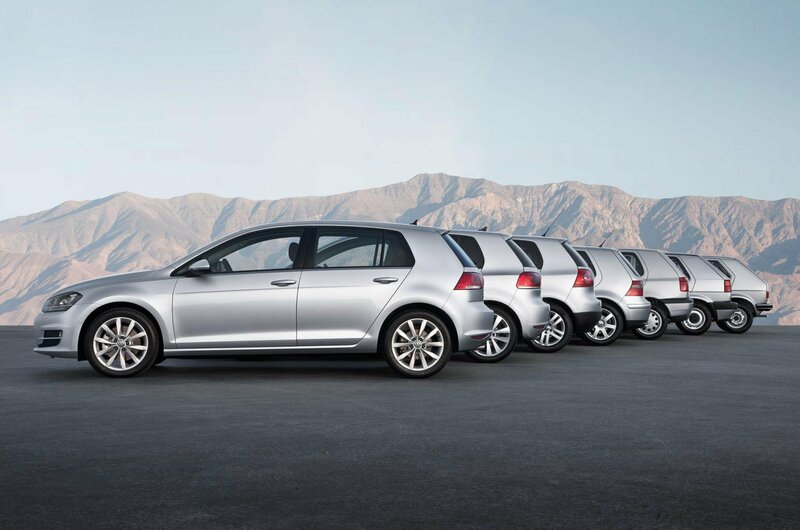 The Volkswagen Golf is one of the best-selling cars in the UK, with almost 40,000 examples sold in the first six months of 2018. It neatly straddles the mainstream and prestige hatchback markets, competing with everything from the Ford Focus and Vauxhall Astra to the Audi A3 and Mercedes A-Class. However, even though it was only recently facelifted and currently has a five-star What Car? rating, an all-new Golf is scheduled to arrive next year. Here's what we know about it so far. The Golf is one of 12 cars in contention for the 2019 What Car? Reader Award, where you can vote for the most highly anticipated new car of 2019. Head over to our voting site to cast your vote. Most manufacturers claim to be moving upmarket with each new car they launch, but in the Golf's case the challenge is not just to stay competitive with the likes of Audi and BMW, but also to stem the flood of family car buyers choosing SUVs over traditional family hatchbacks. To help it do that, Volkswagen says the new Golf will offer connectivity options, fuel-saving technology and self-driving systems that surpass those of the competition. Don't expect a revolution when it comes to the way the Golf looks; the new car will feature sharper creases to bring it into line with the latest Polo, but it will still be instantly recognisable as a Golf. Volkswagen is, however, expected to simplify the Golf range, with the current three-door hatchback and Golf Estate both being considered for the axe, and the fully electric e-Golf set to be replaced by a standalone model. 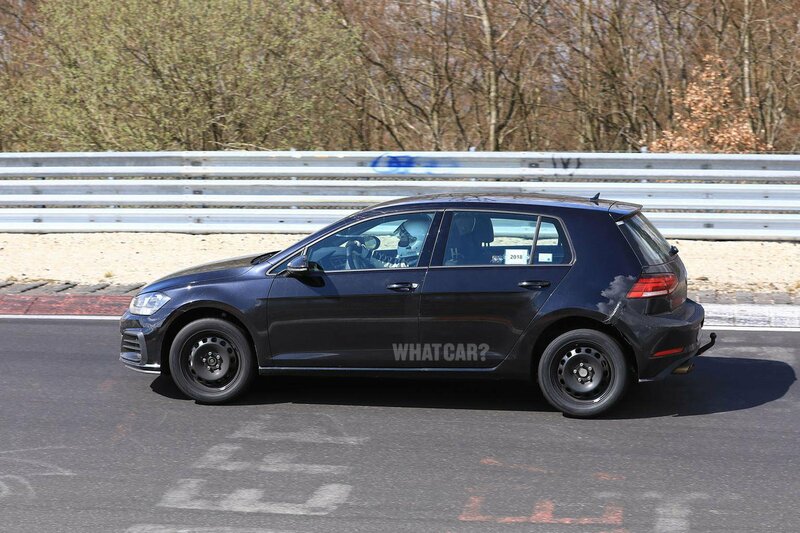 The new Golf will be based on the same underpinnings as its predecessor, but the front and rear axles are likely to be positioned farther apart to liberate more rear leg room. Boot space is also expected to grow, but don't expect the Golf to outclass the gargantuan Skoda Octavia in this area. We've become used to seeing modern cars launched with far fewer interior switches than their predeccessors, and this will also be the case with the new Golf. In fact, on high-end versions there should be almost no switches at all, with Volkswagen bosses describing the Golf's interior as a "total digital environment". That means you should expect a huge central touchscreen, similar to the one in the latest Volkswagen Touareg. But while this looks impressive, it should be noted that it's not the easiest of systems to use while driving. The 1.5-litre turbocharged petrol engine that we currently recommend in the Golf will be carried over to the new car and sold as part of an expanded range of petrol and diesel engines. Many of the petrols will feature mild hybrid technology, where an electrically powered generator assists the engine to improve performance when accelerating away from traffic lights or overtaking. Crucially, too, the mild hybrid system can help to lessen the load on the engine and therefore lower fuel consumption emissions. The line-up will also include a new 1.0-litre petrol option and a 1.5-litre diesel, which is likely to be sold both as a conventional engine and as a mild hybrid. Meanwhile, a 2.0-litre diesel will be offered in various states of tune, ranging from 135bhp to 201bhp. Lower-powered versions of this engine are said to feature lighter components, a more responsive turbocharger and a resized diesel particulate filter – things that combine to bring a power and torque increase of around 9%, as well as a drop of up to 10g/km in CO2 emissons. The new Golf will be permanently connected to the internet, thanks to a special 'eSim' which will allow it to show advanced 3D sat-nav mapping, always find the strongest radio signal and automatically allow the engine to coast in the run-up to junctions or when heading downhill. Live information, such as the latest fuel prices at petrol stations, will also be available. 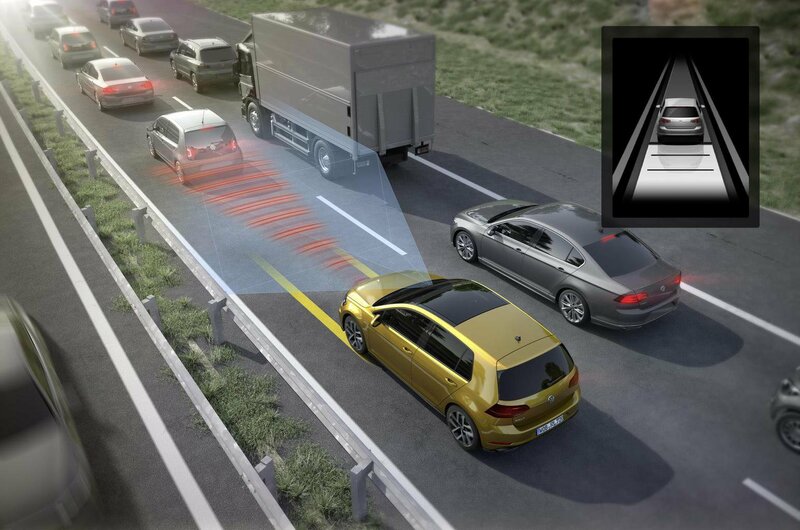 And the eSim should help the Golf to accelerate, brake and steer by itself on the motorway. 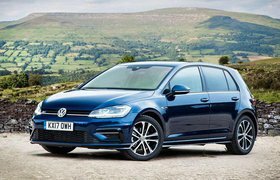 Due to its more spacious interior, new range of engines and advanced autonomous technology, prices for the Golf are expected to shift significantly upwards across the board, beyond the £18,795 asked for today's cheapest five-door model. However, Volkswagen's sister brand Skoda is preparing a replacement for its Rapid hatchback – called the Scala – that bridges the gap between its Fabia and Octavia models. The hope is that the Scala will appeal to people who would previously have bought one of the cheaper Golf models. Before you commit to a subscription service, visit What Car?’s new car deals section.